Say ‘konnichiwa!’ to an evening of film, music and a pink wig or two. 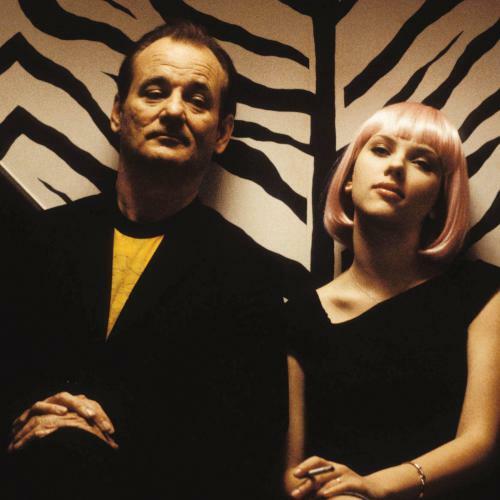 For one night only lose yourself in Tokyo with Bill Murray and Scarlett Johansson at a special screening of Sofia Coppola’s ‘Lost in Translation’ followed by a free party featuring a Lost in Translation-inspired DJ set. Pop culture icon Bill Murray and a fresh faced Scarlett Johansson are the alienated pair of Americans who befriend each other at their luxury hotel against the backdrop of the chaotic yet beautiful Tokyo. Together they embark on an intimate friendship visiting karaoke bars, experiencing strange nightlife and trading stories. After the film, join us for a One Night in Tokyo party, where you can create your own Bill and Scarlett story from 21:30 till late in the Café/Bar, which will be transformed into a Tokyo inspired scene. Including karaoke, a photo-booth, glow in the dark cocktails and laid-back music, this will be an evening where you can get lost (or found) in a film and music experience with a difference. Lost in Translation is my all-time favourite movie. I don’t know how many times I’ve watched it already, but I could always watch it again. I find that every time I watch the film I get something else from it, and yesterday was no exception. As my Japanese has improved, I’ve found that I’ve understood more and more of the Japanese parts of the film and yesterday I realised I was no longer ‘lost in translation’ at all as I understood pretty much all of the Japanese. Understanding the Japanese, for example in the scene where Bob (Bill Murray) is filming the Suntory commercial, adds a whole other dimension to the film. As he sits baffled, being told ‘more intensity’ by his interpreter, I can understand what the director is actually telling him. I won’t spoil it for you, but there’s a reason to learn Japanese if you don’t have one already! When Lost in Translation was first released (in 2003) it did great things for Japan’s tourism industry. 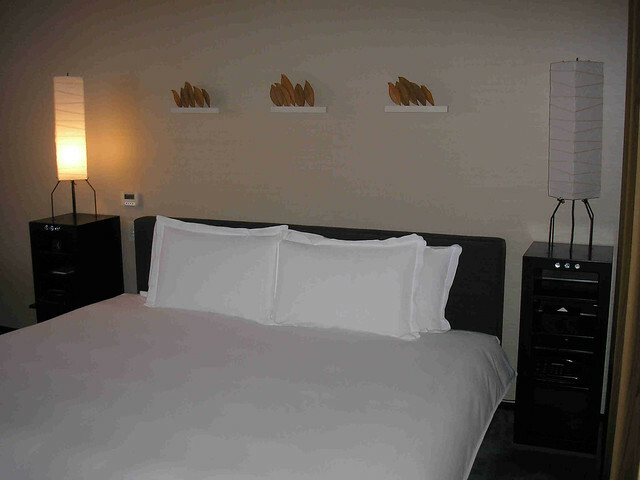 Tourists flocked to the Park Hyatt and, in 2006, I chased the same dream myself. 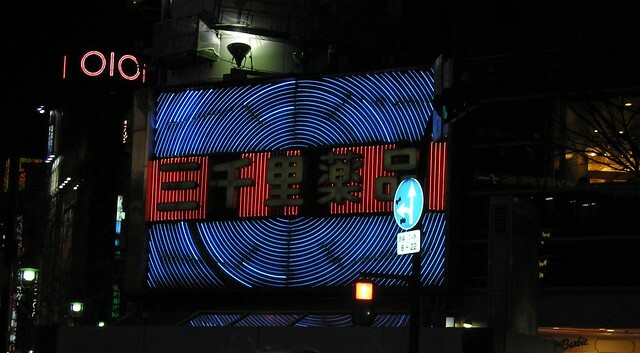 A lot of the movie is filmed in Tokyo’s trendy Shinjuku and Shibuya, highlighting the lively and colourful nightlife of the capital. 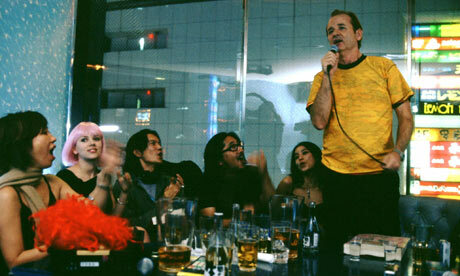 Bob and Charlotte famously end up singing their hearts out in a karaoke bar in Shibuya – Karaoke-Kan (30-8 Utagawacho). I haven’t been to that karaoke bar, but would love to. It would be so cool to sing karaoke with that view (in a pink wig of course!). After the event last night there was supposed to be a bit of karaoke going on but I didn’t actually see anyone have a go. There were a lot of young people walking around in pink wigs though! 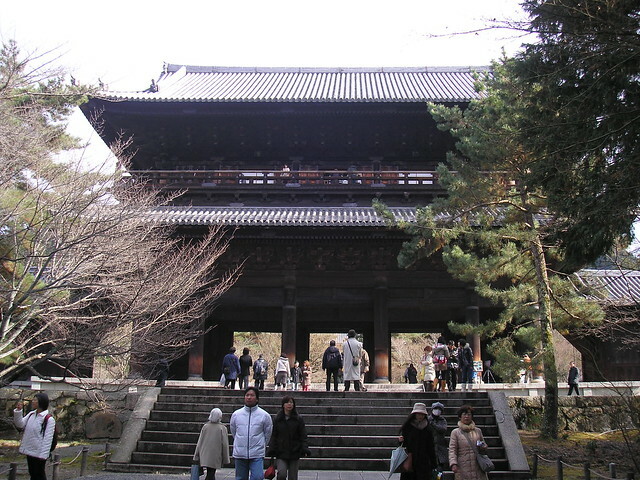 Apart from Tokyo, the only other location used in the film is Kyoto. 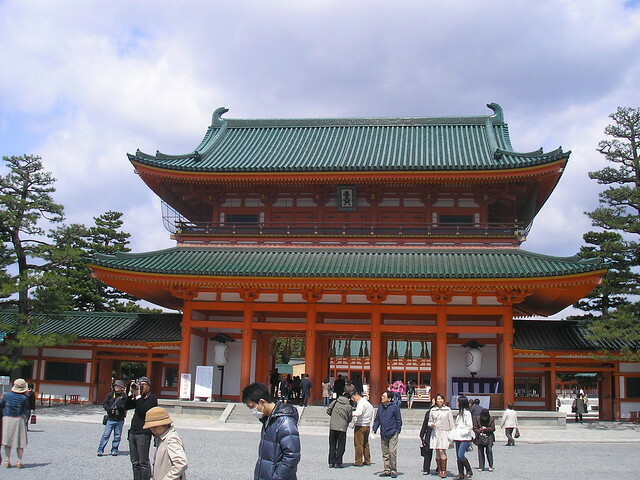 Charlotte takes the shinkansen (bullet train) to Kyoto and visits a couple of well-known shrines and temples (Heian Shrine (平安神宮) and Nanzenji (南禅寺)), both of which I visited whilst living in Japan. During these scenes the wonderful ‘Alone in Kyoto’ by Air plays in the background. This song has always been my ‘walking around in Japan’ song and always plays in my head when I’m sightseeing. 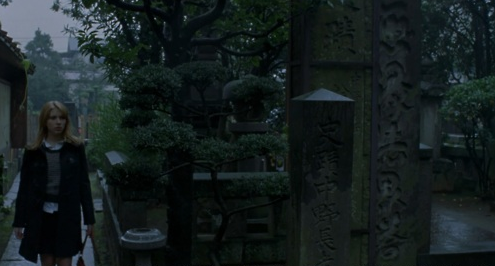 There’s one other temple Charlotte visits in the film (although she refers to it as a shrine), and that’s Jogan-ji (成願寺) in Shinjuku. I’ve never actually been there, but I’m hoping to stop by when I’m in Tokyo in May (even though I’ve read that it’s nothing special). There’s a great blog post about the temple here though, and it looks quite interesting. I wish there was some way to know how many people had been influenced to visit Japan after seeing Lost in Translation – I suspect it’s quite a few! At the event last night I certainly heard a number of people talking enthusiastically about trips they had taken or were planning to take to Japan. How about you – do you like Lost in Translation? Has the film influenced your journeys in Japan at all? I really is a great movie! I saw this at the cinema when it came out but can’t really remember much of it. I think I should revisit it as I’m always looking for films set in Japan (and there’s only so many times I can watch F&F Tokyo Drift). I’ve just watched The Ramen Girl which is set in Tokyo. I can’t decide if it is brilliant or dreadful but it did make me laugh. Ah maybe the karaoke kicked off after I left. I saw the room, but there were just people standing around when I walked past. 😉 It was a great night though!